Hi there and happy Friday!!!! 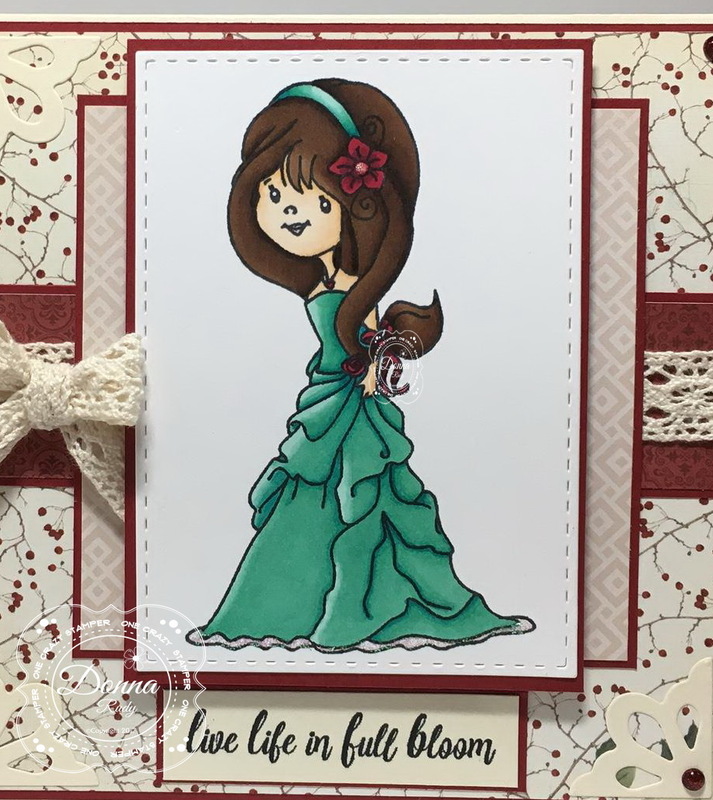 Life in Bloom found here! is such a feel good duo! The ribbon is a satin fabric ribbon (one of my faves) plus some beaded ribbon, and pink acrylic paint along the edges of the card. 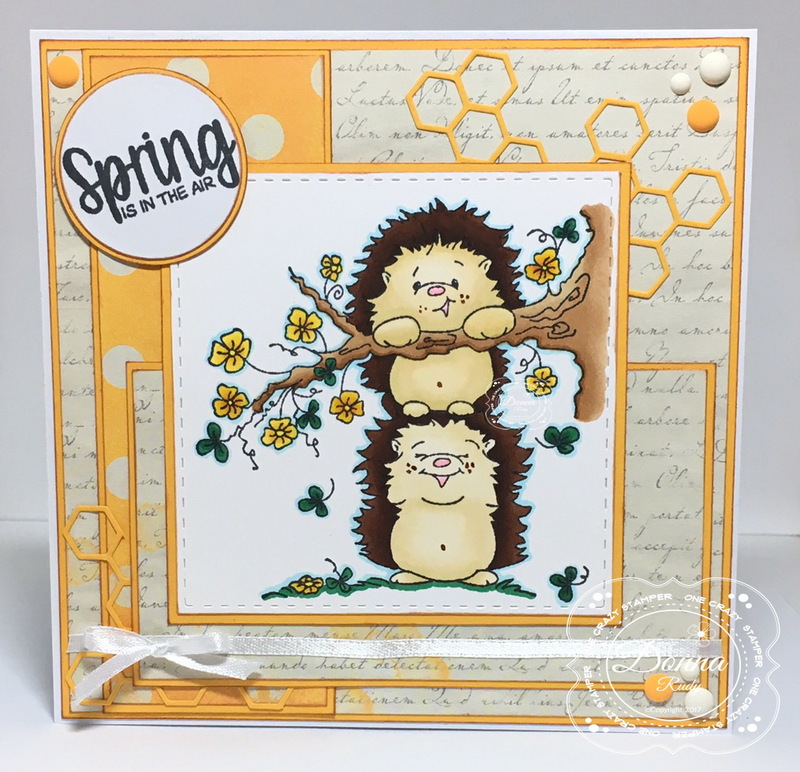 There is plenty of time to enter this month's challenge "Think Spring" for a chance to win 2 unmounted High Hopes Stamps of your choice. I've had such fun making spring cards with the latest High Hopes release - they're such sweet images to colour! 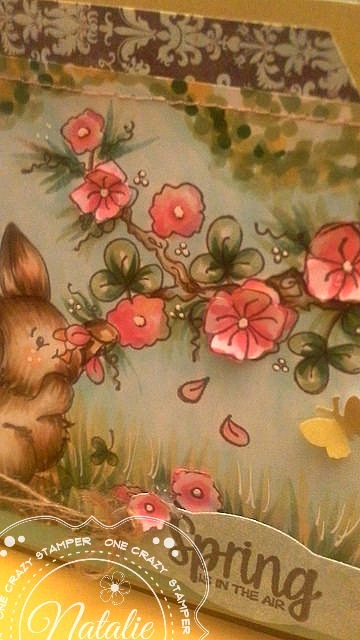 I am sharing Bunny Blossoms TT114 coloured in Copic Markers, with Some Bunny Loves You HH055. 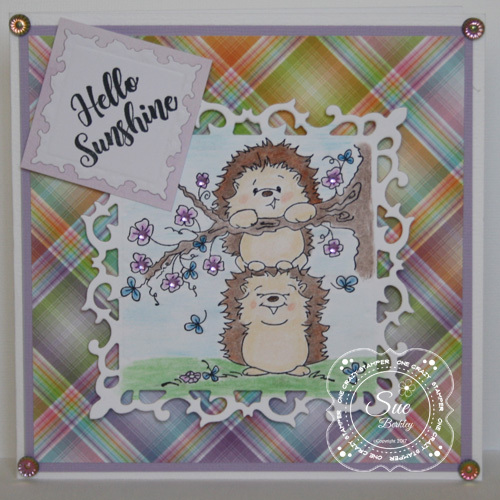 After stamping the sentiment, I coloured the border in with coordinating markers used in my image, then fussy cut around the edge, and adhering it with pop dots. I've used a strip of the pretty Lawn Fawn Perfectly Plaid Rainbow papers, and the pink watercolour look background paper is from the Lawn Fawn Watercolor Wishes pack. 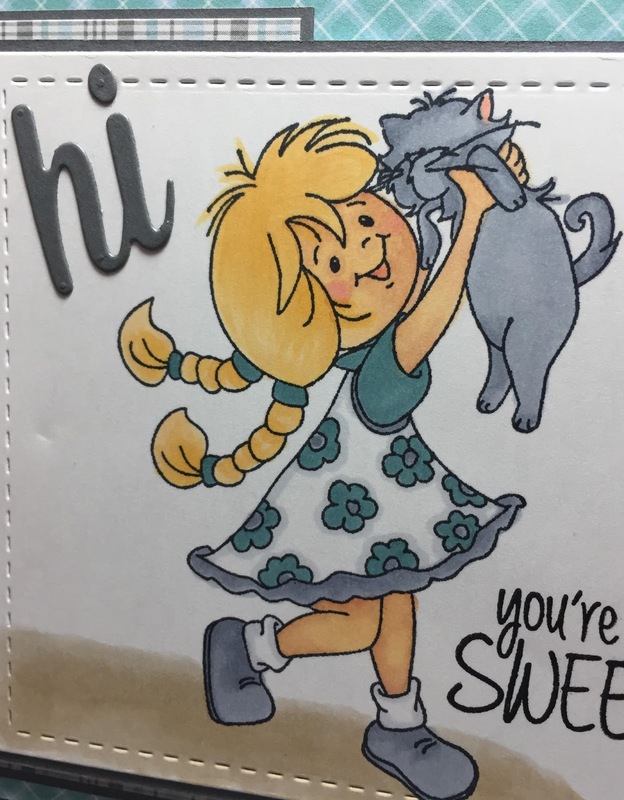 The gumdrops are from Your Next Stamp. 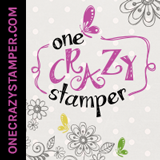 Click on my links and you'll find everything in the OCS store - happy stamping! 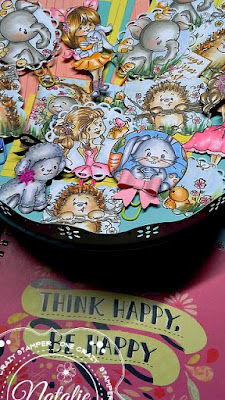 I have one last card to share with you from the new Think Spring release from High Hopes Rubber Stamps. 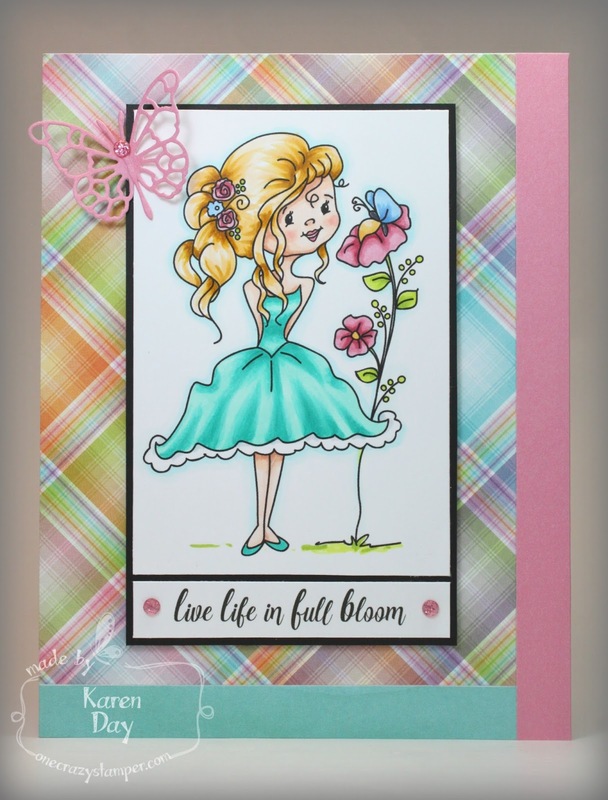 My card for today features the oh so pretty "Adrianna" and the "Life In Bloom" sentiment. 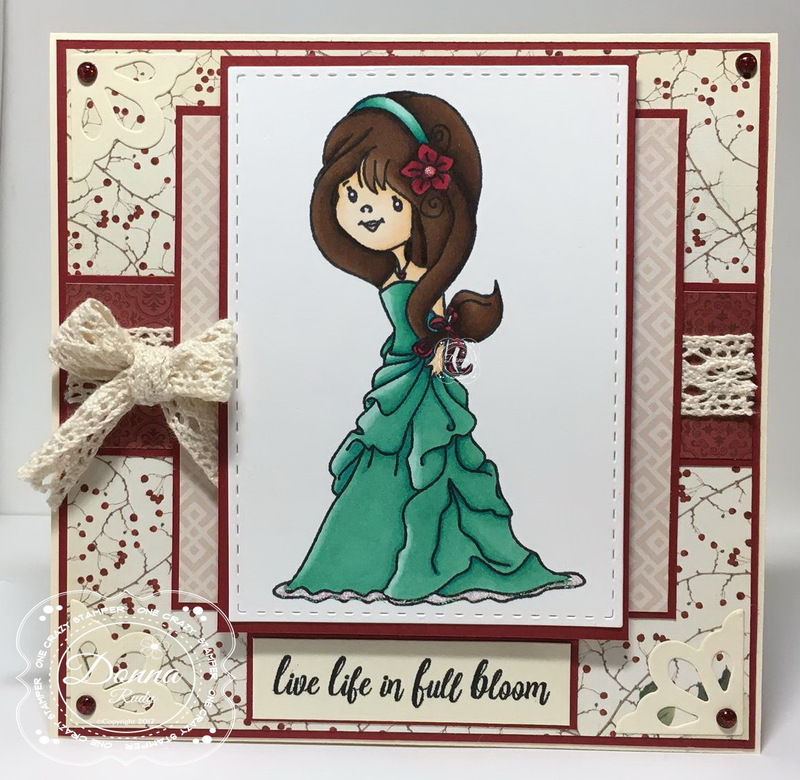 Adrianna looks like she is ready for a prom, wedding or even a birthday party don't you think? The possibilities with this beauty are endless. 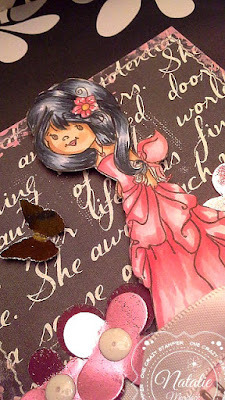 This image is also the perfect to practice colouring hair and folds in fabric.....something I need to practice more! but I'm ok with the results on this one. After colouring my stamp with alcohol markers I cut it out with a stitched rectangle square and popped it up using some foam dots. 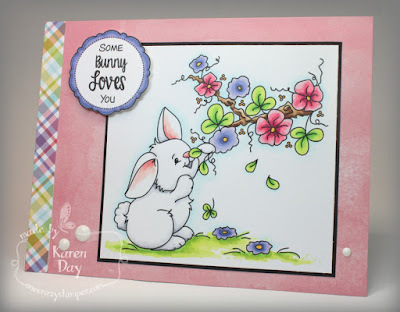 Some Bo Bunny paper was the perfect colour palette for this beauty. 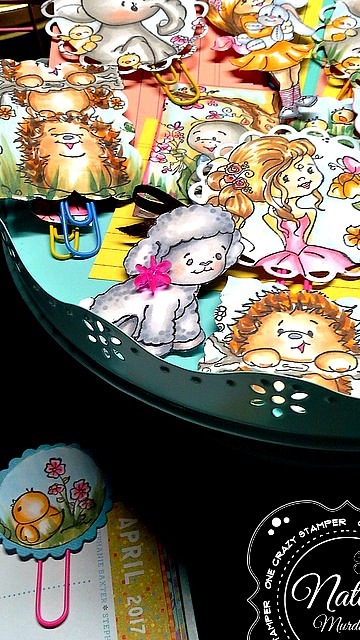 I had another paper combo picked but well.....let's just say the colours weren't quite right when I was done colouring. Some Crystal Stickles added to the flower centre and the underskirt for a little bling. Some lacey corner dies, cotton lace ribbon and glittered gumdrops finish off my card. There is no doubt that Spring is here. 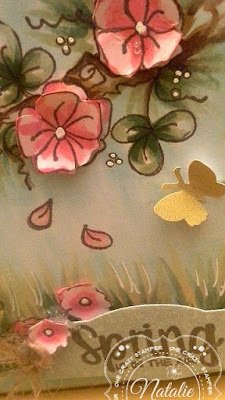 There is the saying that says "April showers, bring May flowers!" 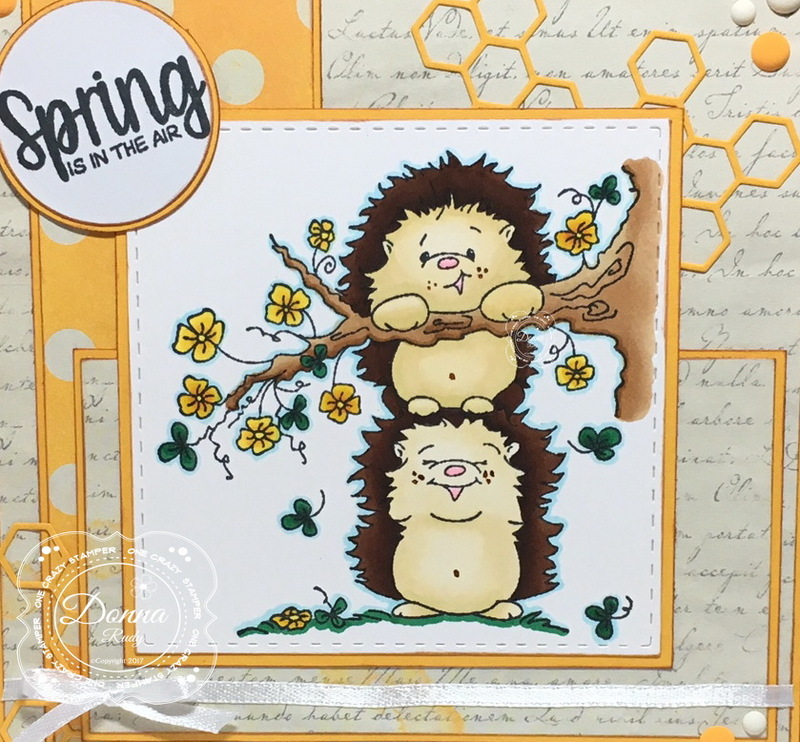 Well May is almost here and I have used the adorable Hedgies Spring Loaded stamp which reminds me of spring fun. 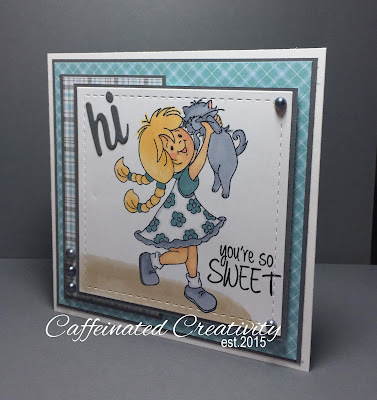 I did a CAS card this time. 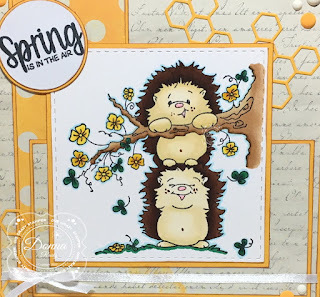 There are still a few more days to enter this month's "Think Spring" challenge for a chance to win 2 unmounted High Hopes Stamps of your choice. 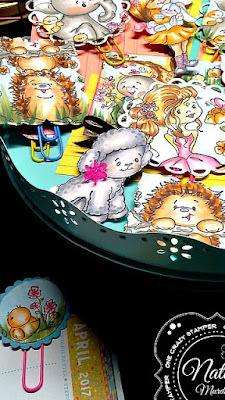 Stay tuned to May 1st, as OCS' Divas will have a brand new challenge along with a new release from High Hopes Stamps. Do check out Lora's OCS store for any supplies that you might need. 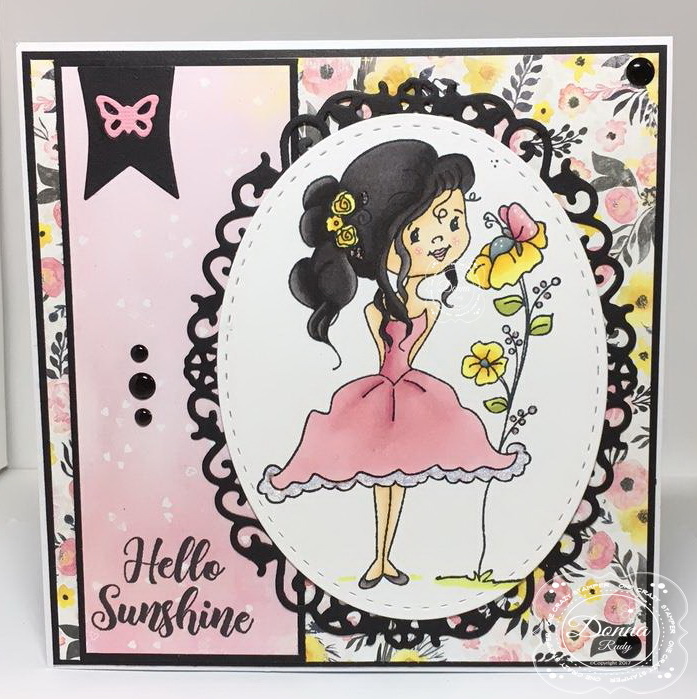 Welcome back we have another wonderful challenge for you today, One Crazy Stamper challenge is happening and we couldn't be more excited to share you our creations. 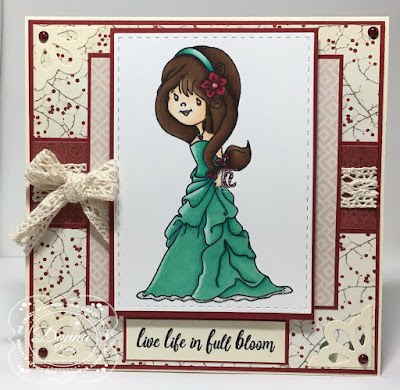 This is the sketch we are using this month, however it is an option. 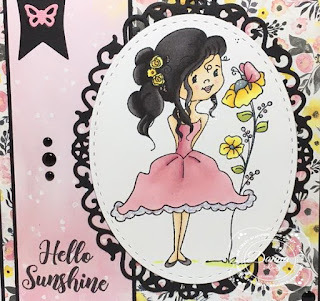 Supplies: HHStamps-Garden Lamb, Hello Sunshine, wink of stella, copic markers, flowers, glue dots, pearls, circle die, memento ink, lawn fawn paper. 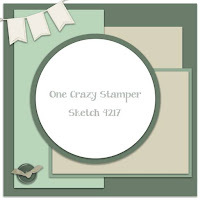 I've used the Perfectly Plaid Rainbow paper pad from Lawn Fawn, with a few Mint Green YNS gumdrops to finish things off. You can find everything in the One Crazy Stamper store - just click on my links! Long blades of grass plus a handmade tree trunk for some added details. 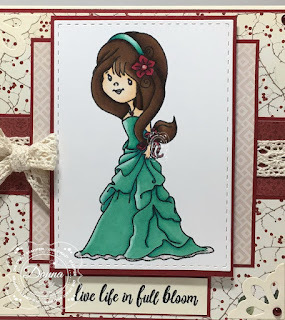 The image is coloured with Copic Markers, fine twine and a white Sharpie Marker were all added to the card. 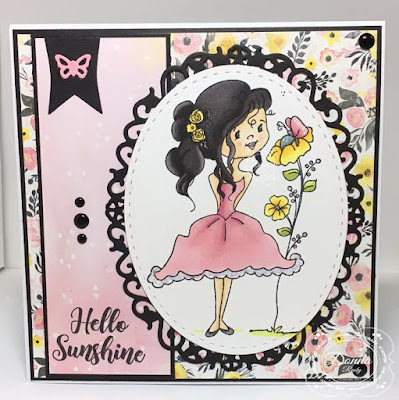 Lori Turner our Guest Designer for this month is back with another card using the adorable Besties stamp from the High Hopes Stamps Spring 2016 Collection. 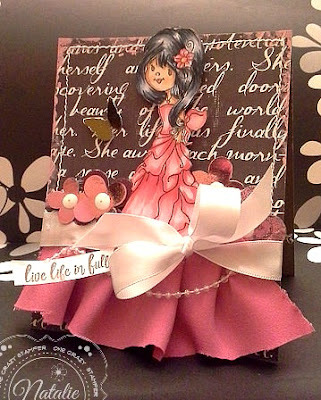 You can find more details for her card on her blog - Caffeinated Creativity. 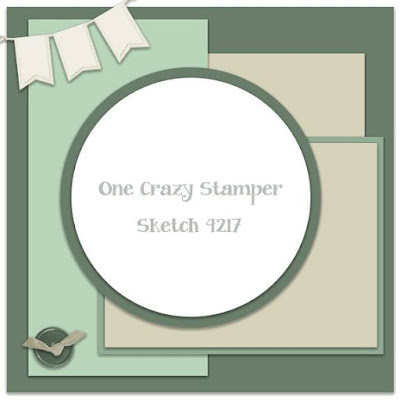 Welcome back to my blog....I am back with another guest designer spot with One Crazy Stamper! 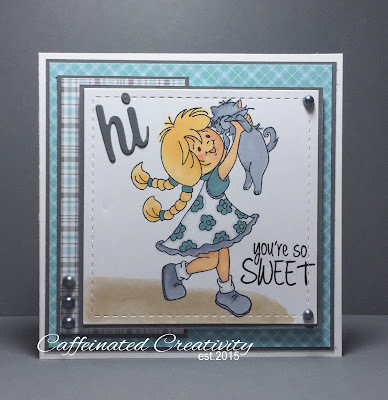 Thank you so much for stopping in today - be sure to hop on over to the OCS Blog for more wonderful inspiration from the amazingly talented Design Team! Cheers! 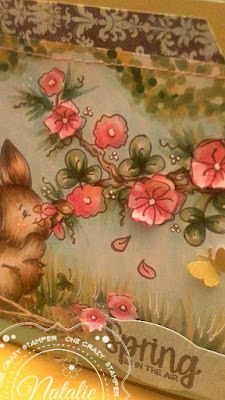 I hope you all had a good Easter as well as the little ones having a great Easter egg hunt. Spring is definitely in the air, as trees and shrubs are showing new buds and daffodils are beginning to pop up. For my card today, I have used the adorable Egg-cellent Friend from the new "Think Spring" release by High Hopes Stamps. 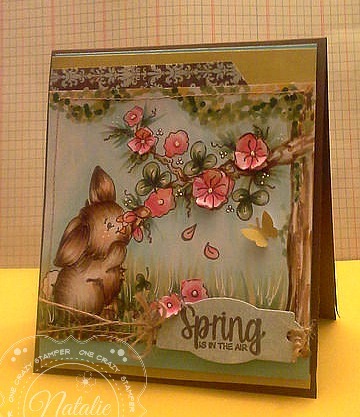 Do play along, as we would love to see your entries for this month's "Think Spring" Challenge. 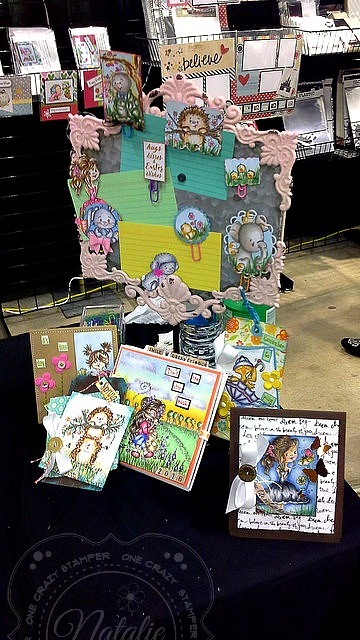 Your entry could win 2 unmounted High Hopes Stamps of your choice. 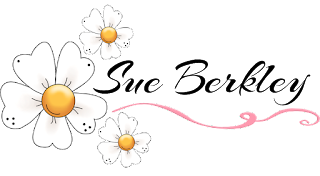 For any supplies that you might need or desire, check out Lora's OCS shop (online and the brick and mortar store). This is a wonderful sketch to use with this months challenge, but is an option. HHStamps-Bunny Blossom, Happy Easter, Copic Markers, MFT Pattern Paper, Memento Ink, Flower punch, Rhinestones, Circle Die, Glue Dots, Liquid Glue. 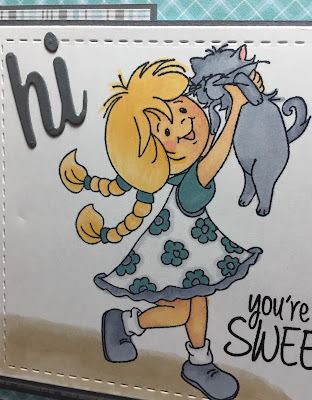 High Hopes New release found here! 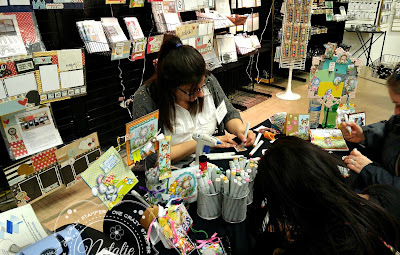 I spent the day coloring up a storm at the make and take booth. 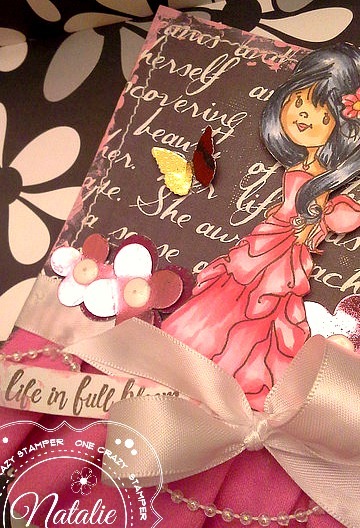 If I haven't mentioned yet the new release from High Hopes rocks!!!! 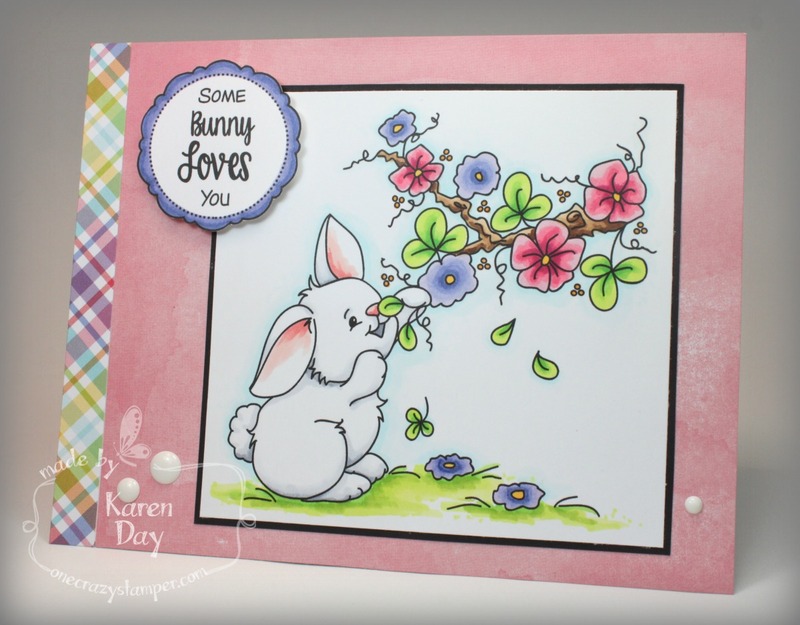 Perfect for spring and perfect for Easter too! The sentiment is Life in Bloom GG021, also from High Hopes. 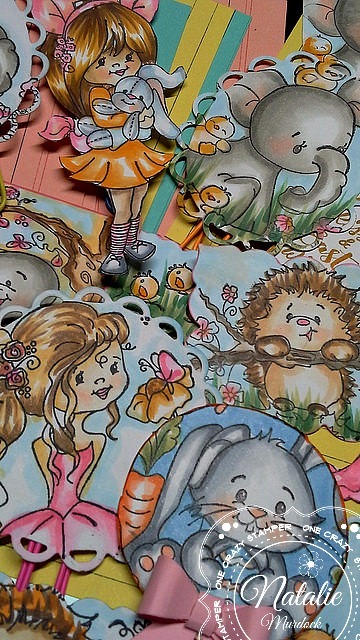 Copics used - E11, E00, E000, R20, R85, R83, R81, BG15, BG13, BG11, YG03, YG01, B23, B21, Y26, Y23, Y21, E50.